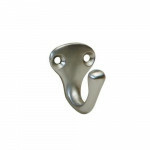 The Trimco 3070-1 Coat & Hat Hook is available in various finishes. TRIMCO specializes in to.. The Ives 571 Brass Coat & Hat Hook is an all-purpose hook in traditional design. 3” Projecti.. 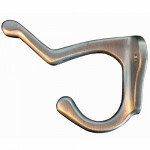 The Ives 571 Aluminum Coat & Hat Hook is an all-purpose hook in traditional design. 3” Proje.. 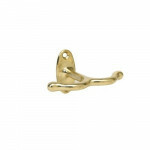 The Ives 572 Brass Coat & Hat Hook is a step-up decorative version of the traditional all-purpos.. 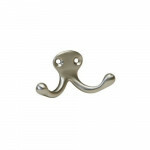 The Ives 572 Aluminum Coat & Hat Hook is a step-up decorative version of the traditional all-pur.. 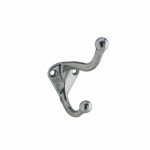 The Ives 580 Aluminum Ceiling Hook is ideal for use in closets, attached to underside of shelves, or.. The Ives 581 Aluminum Wardrobe Hook is a compact hook perfect where space is limited, such as behind.. The Ives 582 Aluminum Wardrobe Hook is a compact hook perfect where space is limited, such as behind..